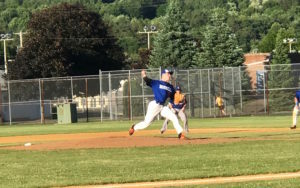 HORNELL — Four Livingston County pitchers are now entering the national stage. 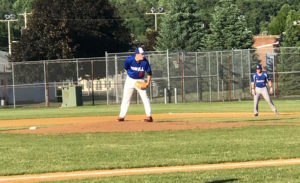 The Hornell Dodgers, who are Nationally ranked (28) now have four pitchers from Livingston Country in their starting lineup. Those pitchers are Jameson Moran (RIT/Geneseo), Reid VanScoter (Binghamton/Livonia), Zack Kolodziejski (Niagara/Livonia), and Maddux Minton (Brockport/Conesus). The Dodgers compete in the New York Collegiate Baseball League (NYCBL), which includes some of the best college baseball players. The four pitchers have helped the Dodgers post a league leading recorder of 14-5 by pitching a combined 61 innings.